I'm sorry the kinect just looks evil to me. Like HAL from 2000 A Space Odyssey. This is going to sound bad, but I just don't care about the used games deal. My friends and I have the same taste and always buy the same games. And it was inevitable for Microsoft and eventually Sony to copy Steam's successful model. Games are going to be all digital 5 years from now anyway. The NFL deal interests me but we know little to nothing about it. We know it'll have cool features and a fantasy draft deal but what games are we going to be able to view? Games only on the NFL network? Details, details! Couldn't care less about the TV thing because Netflix. It all comes down to software for me. As of right now, Sony has released more info but the Xbox Event was said to be hardware specifically. We'll know everything at E3. 7 days, everyone. I hate how the Xbox one is shaping up to be e3 is going to make decide if i should buy it right away or wait till next gen Halo comes out. If they don't produce at E3, and show a serious line up with at least 1 fantastic Halo game featured, it probably won't play out too well for Microsoft and the XB1. And they know that. Games aside, I'm definitely buying it. Regardless of games and such. Just for the fluidity of all things being combined in one, and me never having to fiddle with a remote ever again. I like the idea of interactive entertainment, and I think they are doing a great job on bringing it to the consumer. Yes, I care about the games. Yes, I care that Halo is an XB1 exclusive. Do I mind if they don't wow me right away? Not so much. I'm already thoroughly impressed with the technology involved. Console gaming is getting more and more disappointing for me. I have seen a lot of people question how lan/tourneys will work with the need of an online check in. Most lan centers if not all have an internet connection so why is it so many people can't see that they can just do the check in after the days play... or even more ideal do it BEFORE the days play. so i just read this guy makes a lot of good points what do guys think. it is anonymous he said he is a microsoft engineer on xb1. http://www.reddit.com/r/gaming/comments/1g9019/not_sure_if_trolling_or_actual_microsoft_worker/ R/gaming is where i found it. thats the link of where i read it. As we saw above, you will be able install your games to your hard-drive and have your entire library available to play without putting the disc in the disc tray. This is why the 24-hour check is required. Without this, many copies of the same game could be installed into multiple X1's and it would be absolutely crumble game sales. The drawback to this is not being able to game offline. Microsoft has said that the final decisions to this issue have not been final. I believe if they allow you to play offline with the disc in the disc tray, this would become a non-issue. If they do this, one thing ps4 fanboys hate on will be gone. people need to read this before jumping to crazy conclusions. It references this article a lot using quotations in the post. edit: Tigah beat me to it. One of the most annoying things (for me) about the Xbox One is that it comes with Kinect. That inclusion bumps up the price, and is really something which I will never use, or certainly not need. The 24 hour connection is a bit of a pain, I sometimes go to remote places for a week or so with no internet and friends and play Xbox and party. Without internet we can't play Xbox. Gamestop no longer taking Xbox One Preorders and has removed the SKU from their computers. Are they refusing to sell a console that is damaging to their business? "PlayStation 4 is still available for reserve, and Sony recently announced that GameStop has pledged to buy every PlayStation 4 they can get their hands on." Yep. Makes me seriously wonder if this is going to continue to snowball on Microsoft. Only thing that'll get me to reserve the xbox one RIGHT NOW is if it were to sell out. It happened in Canada for the wii, unsure if that'll happen with the XboxOne. Responding to Amazon’s November 27 release listing for the Xbox One, Microsoft has denied it has set an official launch date. “We have not informed our retail partners about a specific launch date for the Xbox One,” a representative told IGN. As Steph noted when posting the listing, it was always an odd date – too late in the month to pip Sony at the post, and well behind the release of Call of Duty: Ghosts. Also, a Wednesday, which is weird. I fully expect them to launch the Xbox One with the Call of Duty Ghosts. 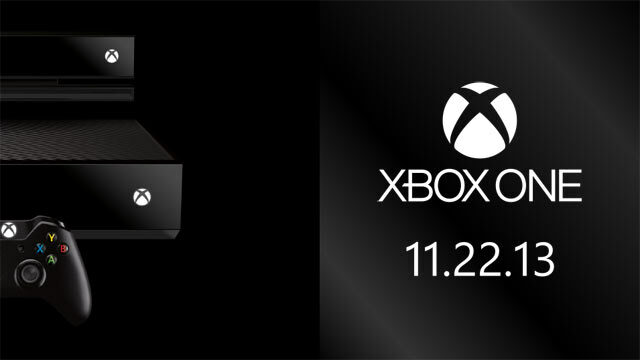 I think it will be before the 27th so Microsoft will have enough in stock for black Friday (29th). Every retailer will run out dry on the 28th.